Brampton Hill Farm Cottage in Wormbridge sleeps 5 people. Set adjacent to the owners home on a small holding, accessed by a track, this cosy, comfortable converted cowshed is ideal for a relaxing and out of the way holiday. Just a couple of steps from the front door provides stunning views and scenery over the valley towards Hereford as well as the Black Mountains and Brecon Beacons. Ideally located for the book town of Hay on Wye. The cathedral cities of Hereford, Worcester and Gloucester are all a short drive away as are the Welsh market towns of Monmouth and Abergavenny. Shops and pub 4 miles. Ground floor: Living room with French doors and beams. Dining room/kitchen with beams. 1 single bedroom. Utility/shower room with toilet. First floor: 2 bedrooms: 1 double, 1 twin. Bathroom with shower over bath and toilet. Oil central heating, electric, bed linen and towels included. Cot. High-chair on request. DVD and small library. CD. Electric cooker. Microwave. Washer/dryer. Dish washer. Fridge/Freezer. Small courtyard with patio and furniture. Barbeque. Parking (3 cars). No smoking please. Holidays at Brampton Hill Farm Cottage run from Saturday to Saturday. For a better idea of where Brampton Hill Farm Cottage is, you can see Brampton Hill Farm Cottage on the map below. 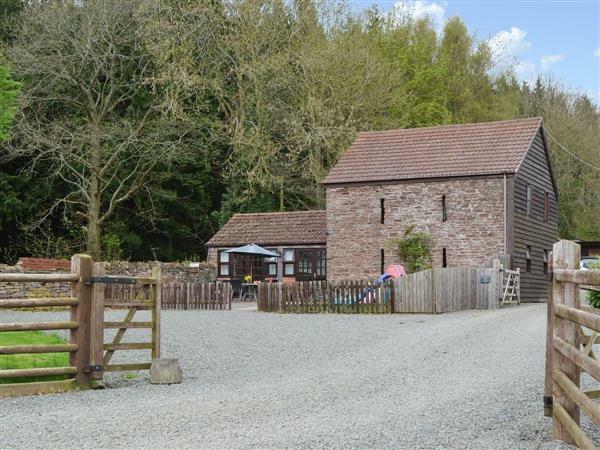 Brampton Hill Farm Cottage is in Herefordshire; should you be on the lookout for a special offer, you can find all the special offers in Herefordshire. It's always worth checking to see what is on offer at the moment. Do you want to holiday near Brampton Hill Farm Cottage (23910), you can see other cottages within 25 miles of Brampton Hill Farm Cottage; have a look to find your perfect holiday location.